There’s nothing quite like playing a game with a good friend, and yet so few games are actually designed with that in mind. Even some of the best co-op experiences have been tacked on, with the game essentially being a single-player experience that just so happens to be experienced with a friend. That’s not the case with A Way Out, which is the second project from Brothers director Josef Fares, as it has been designed with cooperation in mind in every aspect. Two players take up the roles of two prison inmates. Each has a common enemy, so naturally they wind up deciding to break out so they can see their families again and enact some revenge. It’s a pretty standard setup, but the story goes to plenty of interesting places and breaking out of jail is only really the first third of the experience. Things get even more interesting once they’ve found their way out and have to deal with life on the run. 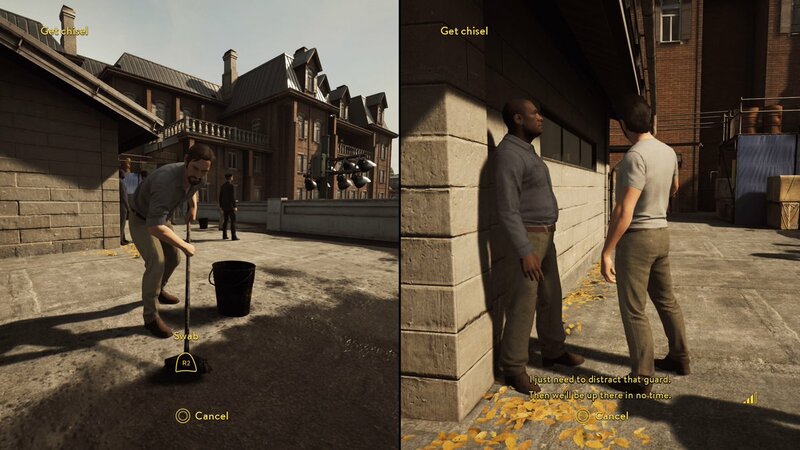 A key component of A Way Out is that everything is experienced together by the two players. They see the same screen at all times (it’s nearly always seen in a split-screen perspective), and that creates a true shared experience. You’re never unsure of what your partner is doing, and that means if Vincent is taking a shower with his dong out, both players are going to see it. This winds up being used in some truly brilliant ways, and it shows how few cooperative experiences really take advantage of the opportunity they have by getting two people together for an extended amount of time. The characters of Leo and Vincent are the true stars of A Way Out. Every piece of dialogue and action has been scripted in a unique way. This means that each of the two leads will interact with every object differently and in a way that fits them. For example, the loudmouth Leo will hilariously try to eat a potted plant he comes across, while the more level-headed Vincent merely smells it. This is made all the more interesting since players get to see the other player’s actions at all times, and I was constantly wowed by how many small touches there are. Hazelight truly makes players feel like they know these characters as a person by the end. The sheer amount of gameplay variety in A Way Out is honestly astonishing. Nearly every section of the eight-hour experience feels unique to itself. It begins with intense Prison Break sequences that are played out via an adventure game and interacting with objects, and by the end it morphs into a full-on action game with plenty of shooting. There are a ton of surprises along the way that I won’t spoil, but Hazelight deserves tremendous credit for managing to make A Way Out feel like a top-notch game in a ton of genres. It’s a versatility in design that I haven’t seen since NieR: Automata, and it’s equally as impressive here. There’s also an incredible amount of side-content to do in the game despite it being a chapter-based action game. By wandering around the environments, I managed to do everything from play the banjo in a Guitar Hero-style rhythm game to petting pigs. Hazelight has crafted one of the most detailed, and system-heavy experiences, I’ve ever seen in a game, and players are rewarded with some truly special moments by exploring. Only the Yakuza games feature this many “Oh my God, did they really include such a totally unnecessary thing?” moments. A Way Out is also incredibly polished in its presentation, as it features some really phenomenal cinematography in its transitions. Fares comes from a filmmaking background, and it’s used phenomenally here. That’s not to say there aren’t some rough edges, as occasionally I ran into some small glitches (for example, my game essentially froze during an arm wrestling mini-game and I had to restart from the last checkpoint), but the game’s checkpointing is so good that I never lost more than 20 seconds of progress and never felt bothered by any of these minor inconveniences. These are small issues in a true labor of love. It’s not just A Way Out‘s narrative that winds up being a journey. A lot of the highlights of my playthrough came from getting to spend it with another person for eight hours. Every puzzle solution required us to be on the same page, every stupid joke we came up with for entertainment sake was made funnier since there was someone else to laugh with, and there were plenty of serious conversations along the way as we had to debate between Leo and Vincent’s views. There’s nothing quite like playing A Way Out with a close friend, and it manages to make quite the mark before the credits roll. 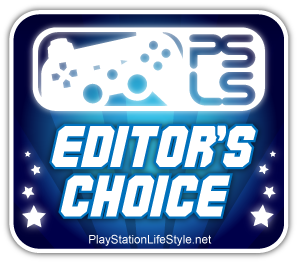 A Way Out review code provided by publisher. Version 1.00 reviewed on PS4 Pro. For more information on scoring, please read our Review Policy.